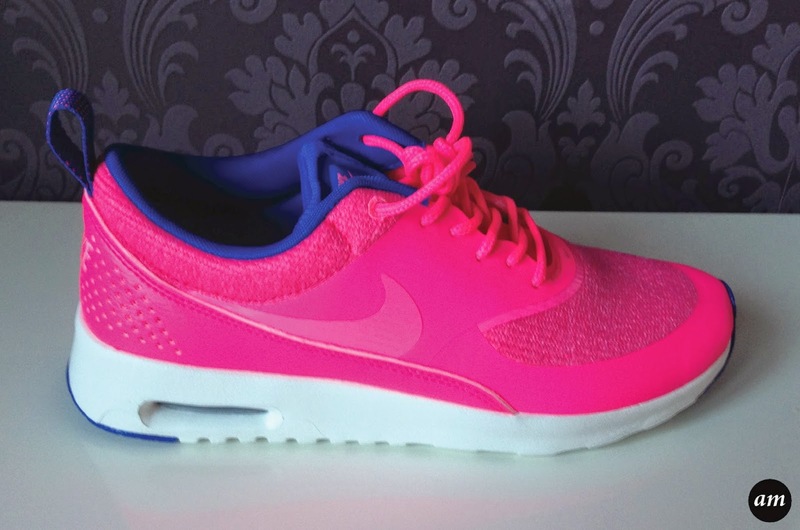 Nike Air Max Thea is a mixture of the Nike Air Max trainer and the Roshe Run trainer. 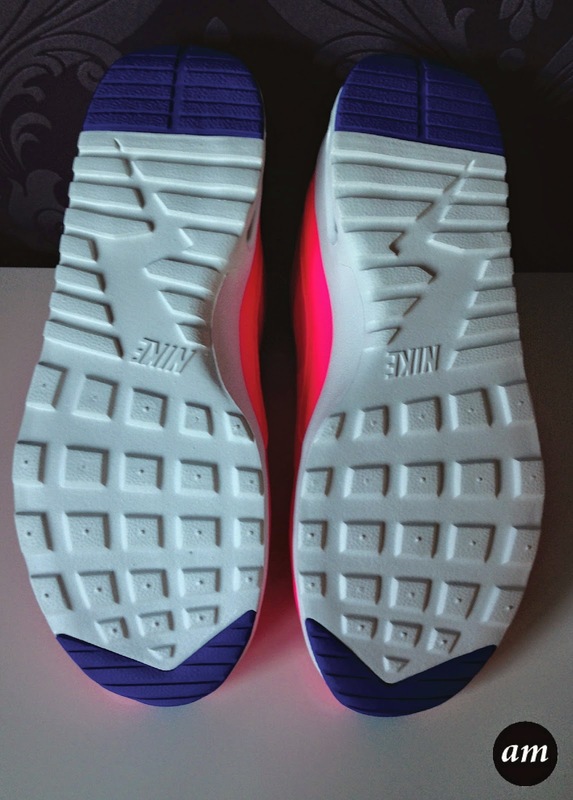 It features a white midsole with an AirSole unit, upper mesh for ultimate breathability and simplistic Hyperfuse panels. 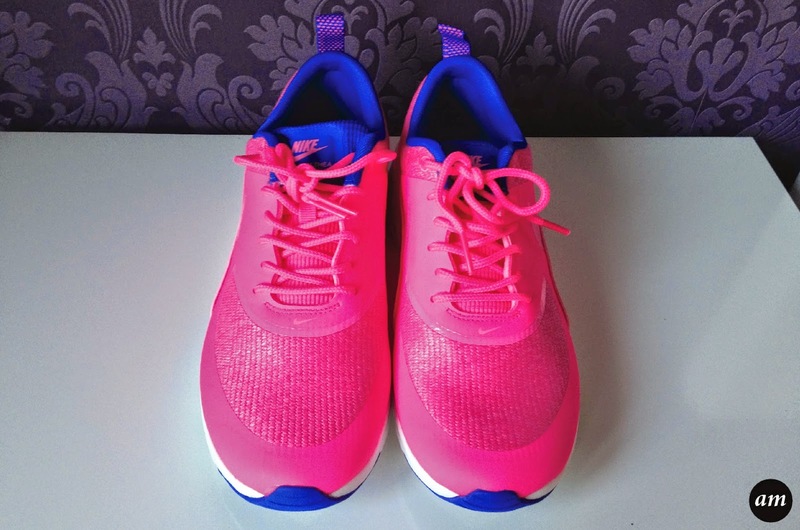 These trainers come in a variety of colours, however the trainers featured in this review are hyper pink and hyper cobalt blue. 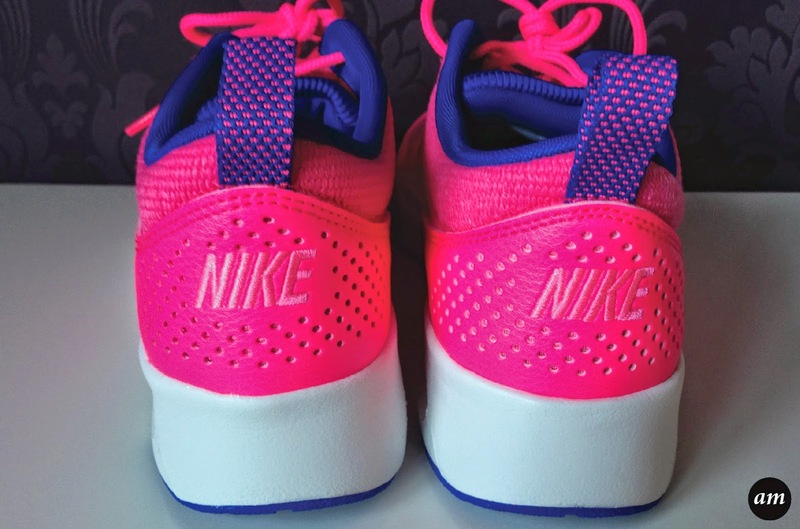 The wide range of colours means you can match your trainers with your gym/workout clothes. I love the Thea trainers. They are super comfy and make your feet bounce off the floor when walking or running. They support the whole of your foot well and don't rub. You can wipe them clean with a damp cloth, which easily removes any dirt making them look as good as new again. You can purchase the Nike Air Max Thea trainers for £84.99 from Office. Sizes start from 3 to 9.5. Do you like the Thea trainers? You should get yoga socks for this. You will feel more comfortable to workout. They are very comfortable and easy to wash and dry as well.